Please note that due to the Easter bank holidays you may need to allow more time for your order to be delivered. If you have any questions, our customer service team is at your disposal as usual Monday - Friday 8am – 6pm. (Except bank holidays). Take your time. Send your printing data by 5pm (2pm for promotional products and overnight orders) on a working day and that day will be considered a production day. As a business customer or authority, besides paying via PayPal, Credit Card, Klarna Online Bank Transfer or Prepayment, you can pay conveniently by invoice. Give your products a finishing touch and choose from our various UV coating effects. Finishing your products provides an elegant look and an exceptional feel. We offer natural and recycled papers ranging from 80 to 250gsm. Order letterheads, brochures, flyers, folded leaflets, business cards, envelopes and many more with environmentally friendly materials at SAXOPRINT. As one of the major online printing houses in Germany, our principles are top-quality, best service and affordable prices. 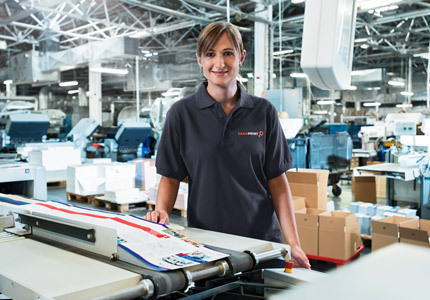 With us, you can have small or large print runs printed with a few days, and the costs always include carriage. Our printing service team is always ready to offer you advice when it is needed for the production of your stationery from our extensive range of options. It's all the same whether it is to do with an impressive flyer, effective advertising folders, glossy posters, prestigious brochures or pretty postcards – at your online printing company SAXOPRINT we will take care of your every need right from the beginning. We also produce high quality business stationery for you such as visiting cards, letterheads, calendars and advertising technology as well as special advertising for exhibitions such as, exhibition walls and counters. Since 2006, we have been offering our printing services exclusively as an Internet printer through our online shop. Our committed and professional staff will look after you by phone from Monday to Friday and via e-mail on all aspects of your order. As professional printers equipped with a state-of-the-art and highly efficient range of machines, we guarantee exclusively top quality, fairly-calculated products at prices you can afford. Take advantage of our free delivery and our speedy production. 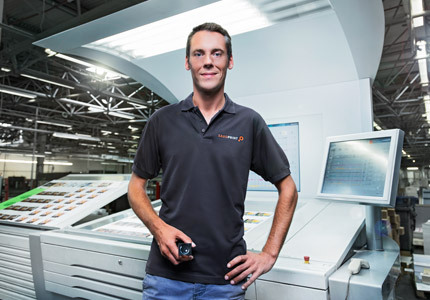 With our Heidelberg Speedmaster XL 162 large-format sheet-fed offset presses we achieve optimised set-up times and extremely accurate registration. Thanks to our UV-coating machine we offer you the additional option of having your products finished with a tough and brilliant UV coating. High-gloss or quality silk finish – this way, flyers, business cards, ad posters, booklets, postcards and calendars are transformed into real eye-catchers. In our online print shop you will also find ad brochures or newspaper inserts which can be ordered in runs from 10,000. They are available in A4 and A3 formats (with cross-fold) from eight pages. These are printed on 57gsm or 90gsm gloss LWC paper which complies with current standards. Ad brochures in newspapers or letter-boxes (newspaper inserts) are an ideal advertising medium to publicise a wide range of products and special offers at comparatively modest costs of production. Using our blank online printing templates for Indesign, Photoshop or Illustrator, you can create your own individual artwork without problems – and without faulty bleed. Our product portfolio also includes packaging which you can have printed in accordance with your own wishes and 'look & feel'. In this way you can achieve an absolutely individuals design for small- to medium-sized packages or gifts of all descriptions. Your customers will be delighted! Our packaging range is of particular interest for dealers in fashion accessories, shoes, spirits or car parts. The contents are thoroughly protected by the stable chrome duplex card packing of up to 450gsm which can also be used as a mailing box. You can order a print run from as few as 100 mailing boxes, mailing envelopes, pillow packets or gift parcels from us. To ensure we maintain the best quality at prices you can afford, we produce thousands of orders in offset every day. This is particularly efficient and eco-friendly, since every print sheet is fully printed and our machines can produce without a break. To make sure you have the best possible print result, you can use our inexpensive proof options to quickly ensure on a monitor that you are satisfied with the results. Faulty cropping marks and poor picture resolution are now things of the past. If you want to be absolutely sure and see your artwork on paper, order a galley proof, which we will post to you; all you need to do then is give your approval. We put your artwork to print immediately and send the order off to you by post. Both agencies and print shops are welcome to register with us as resellers or wholesalers, irrespective of whether they themselves operate an online shop and wish to extend their own portfolio with our printed products. Authorised resellers can earn a discount on every order, have a personal contact and can also take advantage of our neutral dispatch without charge. 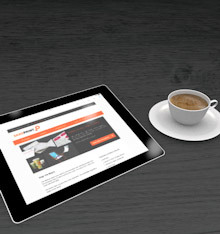 Split delivery and payment per invoice are further benefits of our exclusive reseller programme. To protect our environment, sustainability through ecologically-friendly production, for instance by using FSC paper, is extremely important to us. If you wish, we can print your work on FSC-certified paper in paper grammage of 400gsm. FSC printers have to undergo a lengthy certification process and to demonstrate that they obtain paper from sustainable forestry. This is a path we are happy to tread; further information here. If you wish to have a close look at our print quality and types of paper for yourself, you will find our gratis print samples for paper grammage and booklets a great help. All you need do is call our order hotline or use our contact form.